Summer emoticon has it going on--the sun, the beach, something cool to drink. 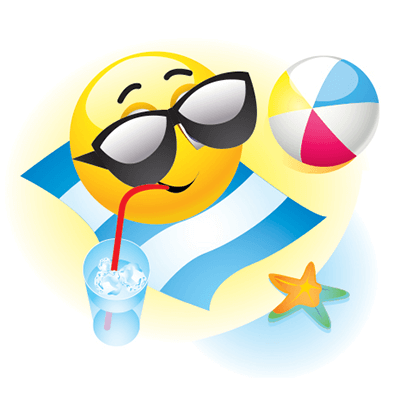 If you're heading out on vacation and enjoying the summer, you can share this emoticon to let everyone know. We've designed a wide array of emoticons for you to use on Facebook. Discover them all as you browse our collection.